Is Your Bank Winning at Customer Experience in the Digital Economy? Prepared for the New Lease Standards? Only 10% of finance and accounting professionals believe their companies are prepared to comply with the new lease accounting standards. Here are three initiatives you can begin now to ensure your company is ready. This outline provides an overview of the steps needed to ensure a smooth transition to the new standard. HORNE’s Financial Institutions group can guide you with strategic insights and training. The new allowance for loan losses standard (ASU 2016-13) known as CECL (Current Expected Credit Losses) is here. Download our E-book A Step-by-Step Guide to CECL Implementation and check out our resources to help prepare your institution for a successful implementation. 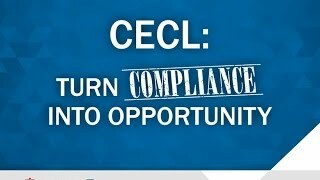 Here are 8 steps to gain insights into your financial institution’s loan portfolio and risks through effective CECL implementation. The new allowance for loan losses standard (ASU 2016-13) known as CECL (Current Expected Credit Losses) is here and implementation is underway. How is your business turning the compliance burden into an opportunity? Watch the webinar on ALTA Best Practices and Certification for Title and Settlement Attorneys. This journey starts with exploring your niche/identity and building a thoughtful vision around who you want to be in the future. The Dept. of Labor projects this new ruling will cost employers an estimated $12 billion over the next 10 years. By 2020, Millennials will account for $1.4 trillion in spending. To remain relevant as they gain more and more traction, community banks have to reconsider every piece of the branch model, starting with three priorities. Data is more prevalent than ever, but according to a report from EMC and Forrester Research organizations are just starting to scratch the surface with only utilizing less than 5% of their available information. Are you up to date on the impact of Basel III? Two key issues that federal regulators continue to focus on (and have been the point of reference for breakdowns causing violations) during examinations are compliance management systems (CMS) and vendor management oversight. Profit at the meeting point - M&amp;A from the buyer and seller perspective.